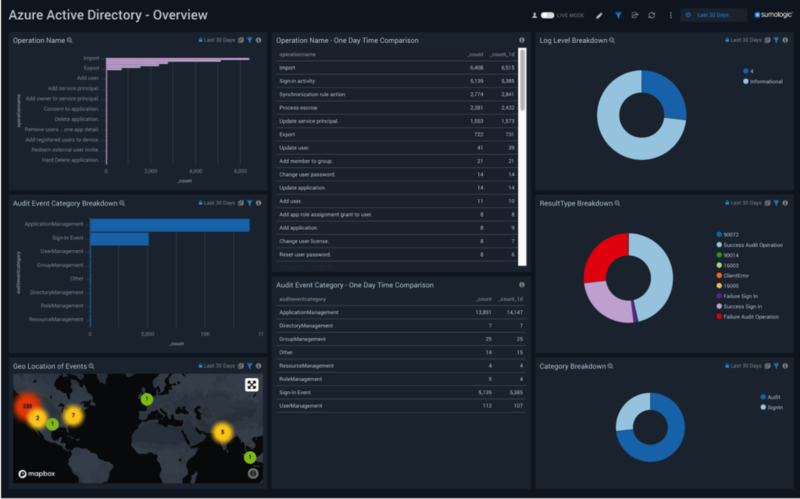 Out of the box dashboards deliver real-time data that enables your team to take action and spot unusual activity. 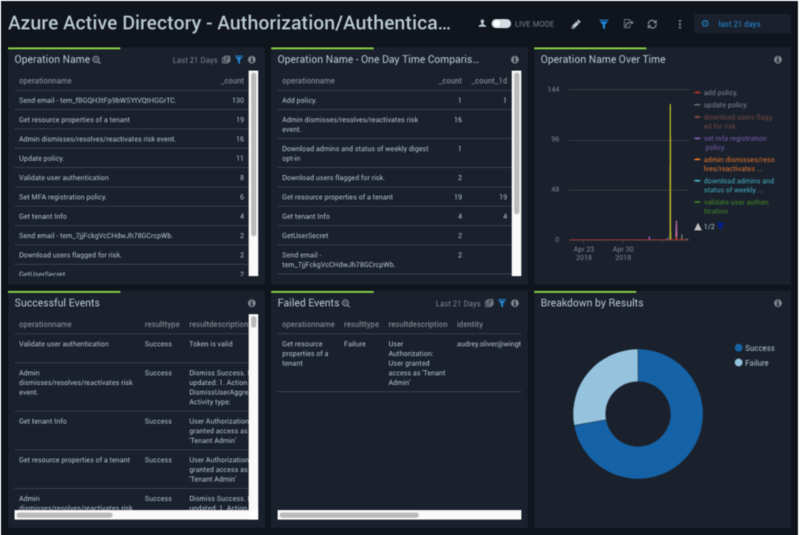 Find anomalous sign-in behavior across different locations, browsers, and applications. Easily package, share, and export event logs enabling teams to quickly collaborate. Alerts and metric dashboards enable your team to quickly get oriented to changes in user access behaviors across your Azure AD environment. Custom queries enable you to dig deep and find root causes. Empower your team to easily navigate across roles, users, and applications and manage complexity in real-time. Build alerts to escalate and communicate about spikes in success and failures.